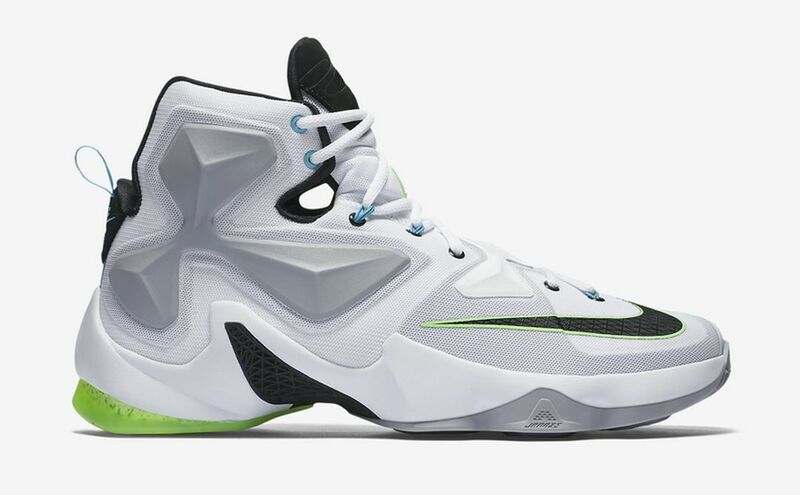 Nike Lebron 13 "Command Force"
Nike Basketball sets forth the Nike LeBron 13 “Command Force” for the next Nike Lebron 13 colorway that is inspired by the OG Nike Air Command Force. 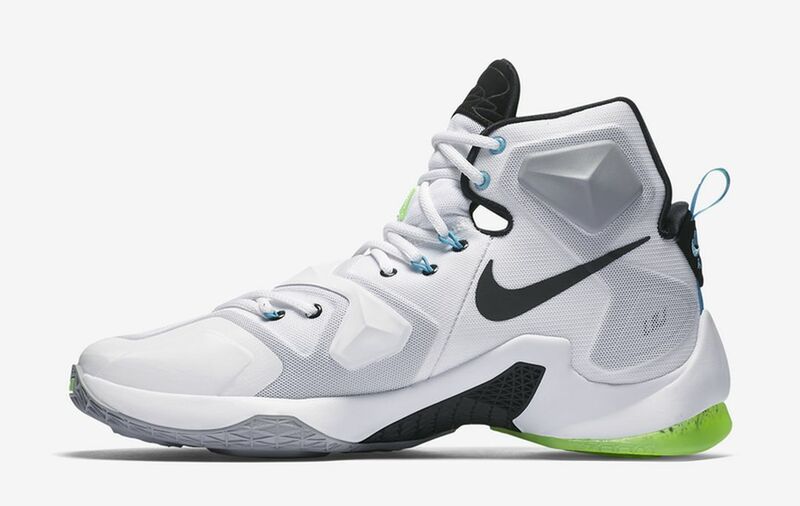 Alongside Kyrie Irving’s Huarache Flight colorway, comes another Nike Basketball signature model taking inspiration from a 90’s classic that re-defined basketball footwear. 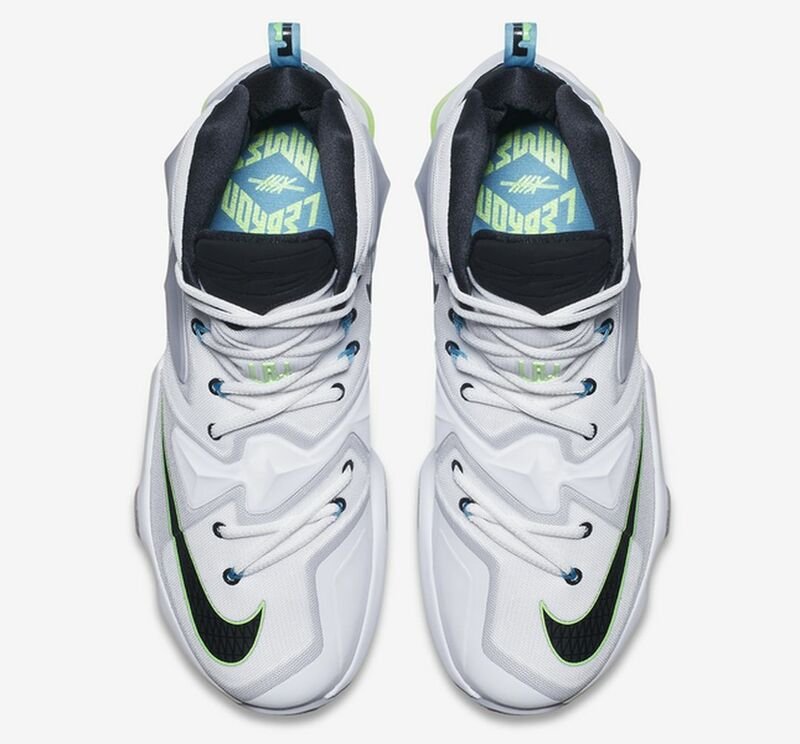 The new Lebron 13 features a full on white upper that is accented in light blue, neon, and black. 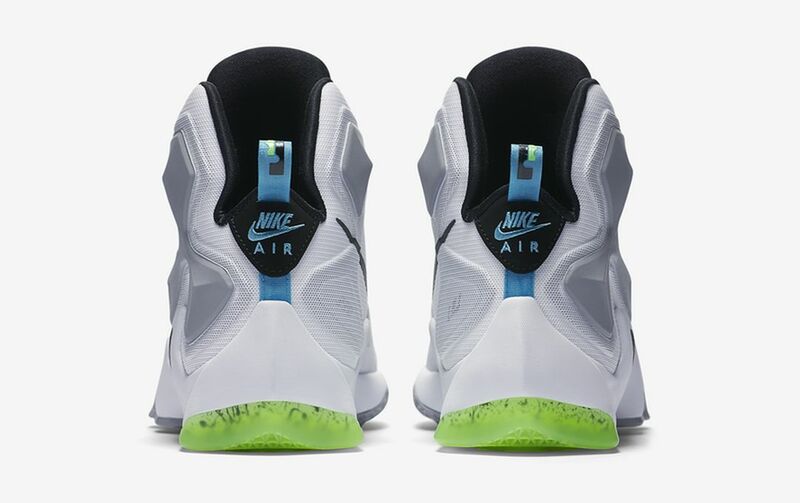 The Nike Air logo is featured on the heel replacing the Lebron 13 logo for an OG touch. 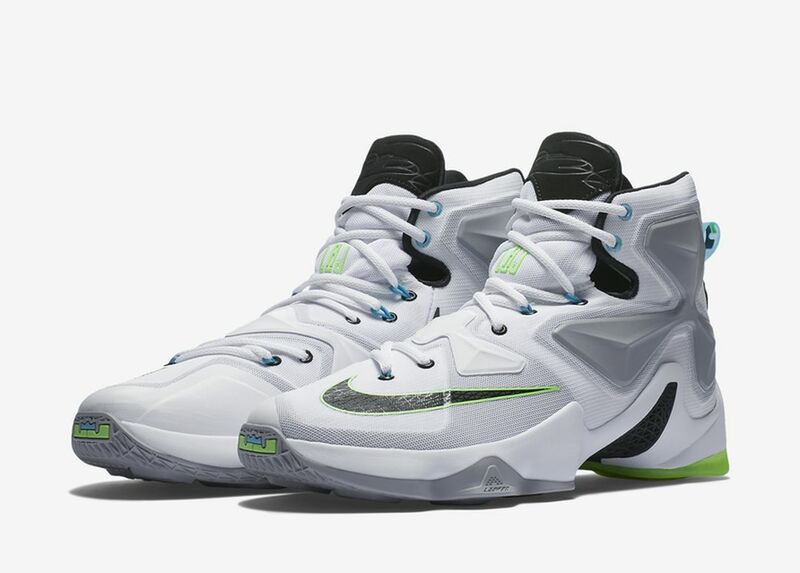 Check out the photos on the Nike Lebron 13 “Command Force” and look out for them on June 11th, 2016 at Nike Basketball retailers across the globe for $200 USD.